Donations go directly to the “100% Vaccinated Children” campaign, aimed at eradicating polio and providing immunity to other diseases. 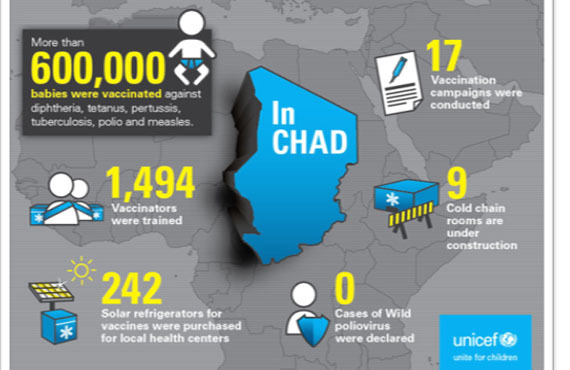 Thanks to the programme, 600,000 children in Chad have been vaccinated against diphtheria, tetanus, polio, whooping cough, tuberculosis, and measles. We are really proud to have been pioneers in a project like this, with the aim of improving living conditions for children all over the world. A year ago Iberia, the Amadeus travel reservation company and the Spanish Committee of UNICEF joined forces to launch a pioneering on-line “micro-donations” project, inviting ticket buyers on Iberia’s website to donate to the UNICEF vaccination programme in a quick and simple way. A platform developed by Amadeus for the Iberia.com site enables customers to contribute between three and 20 euros to the UNICEF programme when purchasing air tickets. In the first twelve months, more than 36,000 Iberia customers opted to contribute a total of some 200,000 euros to the UNICEF 100% Vaccinated Children” programme, which is intended to reach out to populations in eight developing countries in which most children are not currently vaccinated, and hence at risk of contracting preventable diseases. Vaccinations prevent an estimated two million children’s deaths each year. “100% Vaccinated Children” is also aimed are eradicating polio in the eight high-risk countries, which are Afghanistan, Angola, Chad, Democratic Republic of the Congo, Nigeria, Pakistan, South Sudan and Yemen. 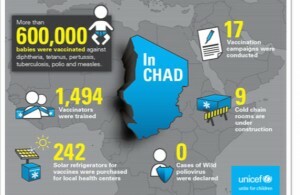 The 200,000 euros collected by Iberia is to be used for the vaccination programme in Chad, where one child in 20 does not reach the age of five, and where polio remains endemic. Previous articlePassenger record for Brussels Airport: 21,637,003 !!! And counting…..